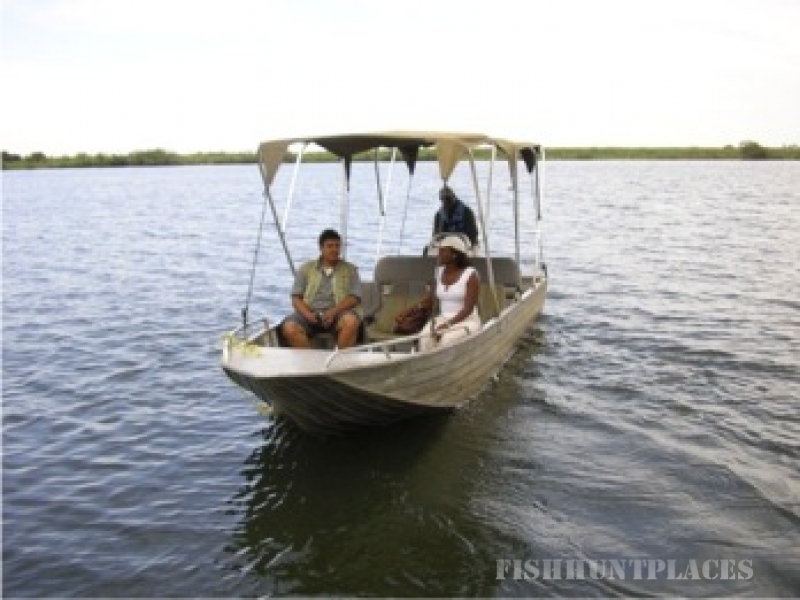 There is a place on the banks of the Chobe River in the warm tropical climate of Northern Botswana where tranquillity and beauty mix with raw wilderness; where the immaculate Chobe Bushbuck has sanctuary, Warthog, Mongoose and Vervet Monkey abound and the Hippo are lords of the domain. This place is Kubu Lodge, a small 3 star privately owned and run Lodge. 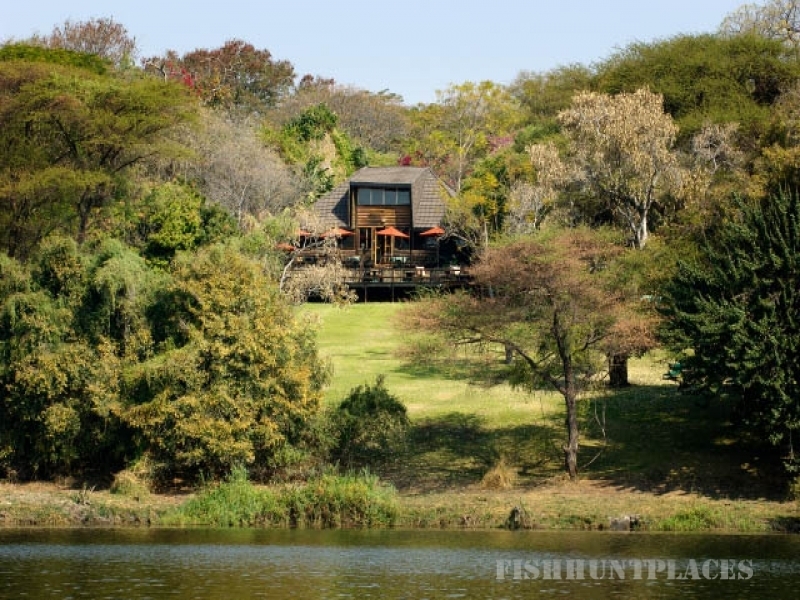 The 11 Thatched raised chalets are set out beneath giant ebony and wild fig trees on shaded lawn that extend to the river’s edge. The wooden chalets each with a deck are fully serviced and tastefully furnished (mosquito nets, tea/coffee facility, safe, shower with hot and cold running water, hairdryer and electric shave plug point) giving you the comfort of home. The decks of Morubisi (Owl) Bar and Leathaba (Sunrise) Restaurant overlook the river with the emphasis being on fresh and tasty alfresco dining and spectacular views. Other facilities enjoyed by our guests include a curio shop, reading lounge, strategically placed daybeds on the lawns and the swimming pool with loungers under the trees near the river’s edge. Kubu Lodge activities include the opportunity to experience Chobe National Parks – home to Africa’s single largest population of Elephant – amazing wildlife by boat cruise or safari game drive; a marked Nature Walk on the 30 Hectare property of Kubu Lodge – which is on a major bird migration route with approximately 400 species recorded locally, all this combines to make Kubu Lodge a unique experience for wildlife enthusiasts and birdwatchers alike. 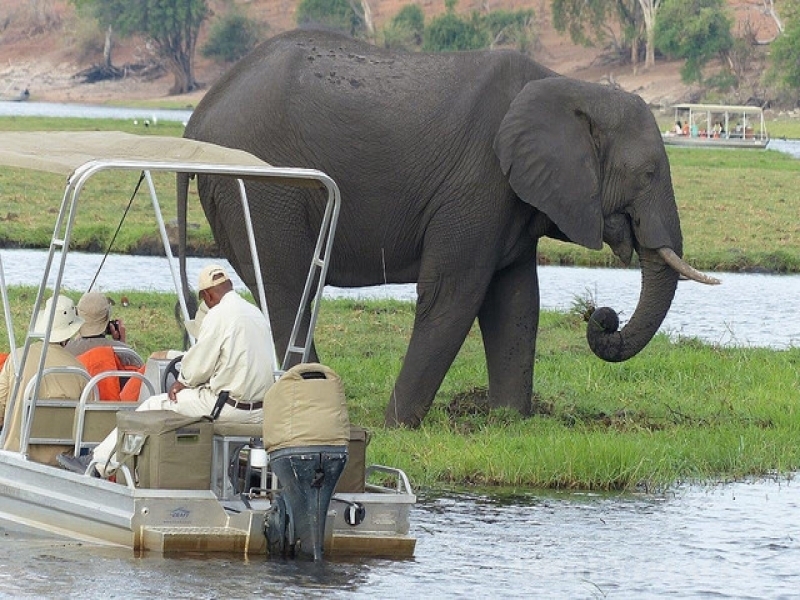 A boat cruise to the confluence of the Chobe and Zambezi Rivers where 4 countries meet; fishing excursions for Tiger and Bream on the Chobe River or full day fishing trips up the Kasai Channelonto the Zambezi River in Namibia; visits to a working crocodile farm or guided tours of a nearby reptile/snake park and Day trips to Victoria Falls, Zimbabwe are also booked on request. Ideally situated with the internationally acclaimed Chobe National Park nearby, the magnificentVictoria Falls an hour’s drive away and Kasane, Livingstone and Victoria Falls International Airports all servicing this area with regular scheduled flights, as well as good tarmac roads allowing access to Zimbabwe, Zambia, the Caprivi Strip/Namibia and the rest of Botswana makes Kubu Lodge an ideal place from where to experience this region. The Botswana tradition of extending a warm welcome to all visitors is proudly continued at Kubu Lodge. 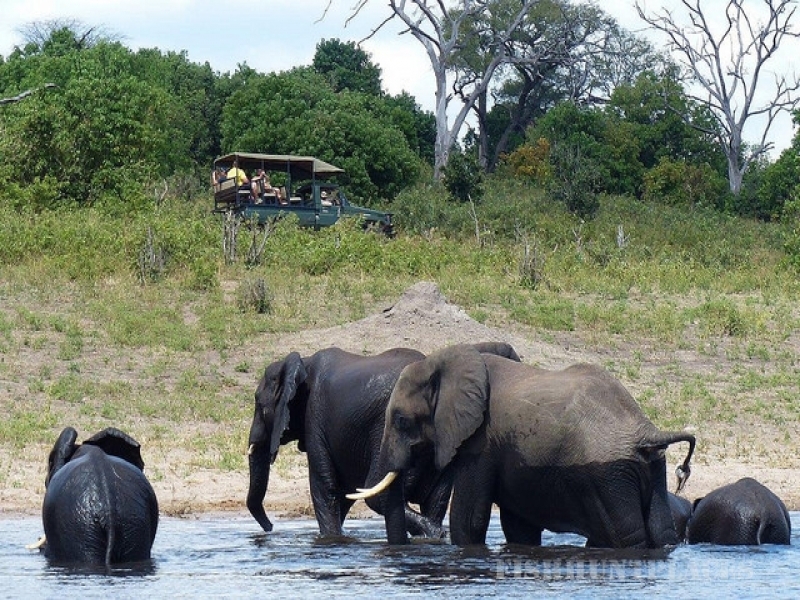 The lodge derives its name from the Setswana word for “hippo” a common resident of the Chobe River.